I've been blogging on different platforms for nearly ten years now. Over the course of those ten years I learned a lot about what not to do when it comes to consistency and content. Plus I've also tried close to fifty different ways of organizing blogging content that have all disappeared for one reason or another. 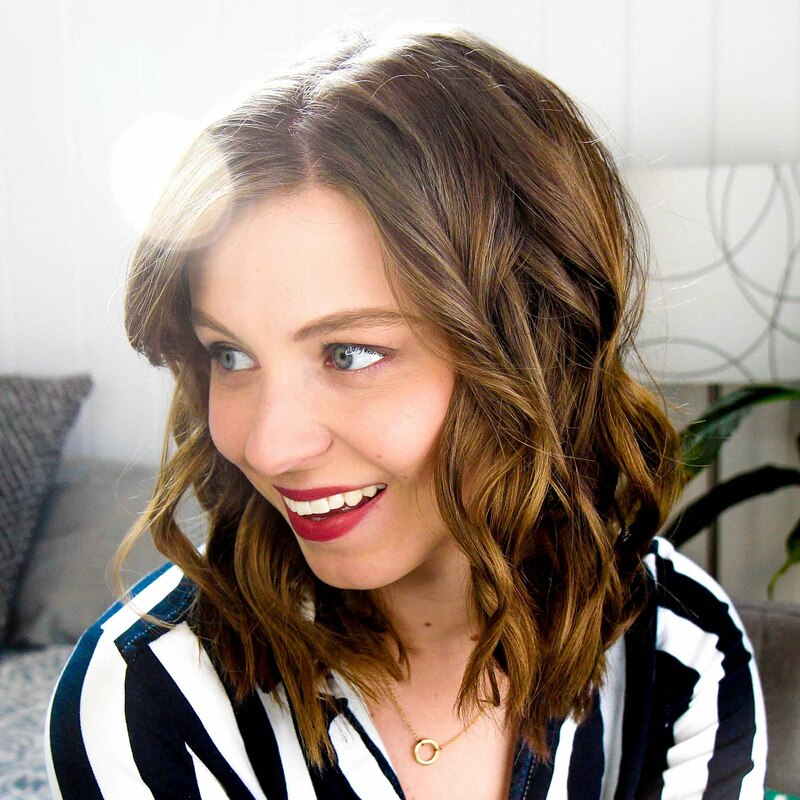 My most recent editorial calendar method has lasted the longest and I thought it was about time I finally talked about it. My biggest advice for creating an effective content calendar is to honestly ask yourself what you're capable of actually accomplishing. It's all well and good to think you'll write a new blog post every day of the week or post five YouTube videos, but you have to consider what's actually possible. Look at your daily schedule, your commitments, and your responsibilities. Figure out what you have time for, and what you sincerely want to use that time doing. 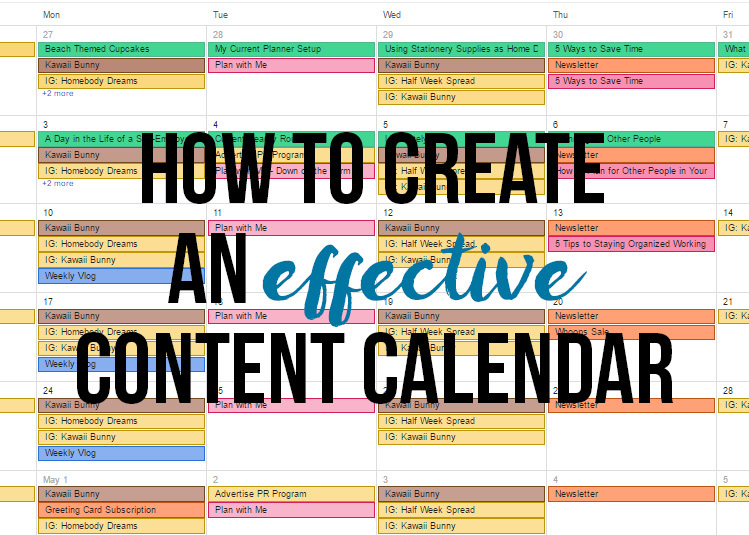 Once you've decided what's realistically manageable, you're ready to build an effective content calendar. Like I said, I've tried a lot of different platforms and systems to keep track of my content schedule. I've used planners, notebooks, stickers, you name it. The only thing that has ever really worked for me long term is Google Calendar. Gasp. I know. For someone whose livelihood depends on people using tangible planners I can't deny that when it comes to this, it has to be online. For good reason to. You want to create and utilize a system that allows for plans to change. Google Calendar allows you to write in a blog post or a YouTube video, but if life gets in the way, you can just drag it to another day. This freedom to drag, drop, edit, and change your content schedule within seconds makes it superior to a tangible planner. If you're someone who sticks with a plan once it's made, definitely go for tangible. But if you're anything like me, one day you may wake up and have no desire to write a particular blog post. You won't have to cross it out in your planner, all you'll have to do is relocate it to another point in your schedule to do it when you feel more inspired. 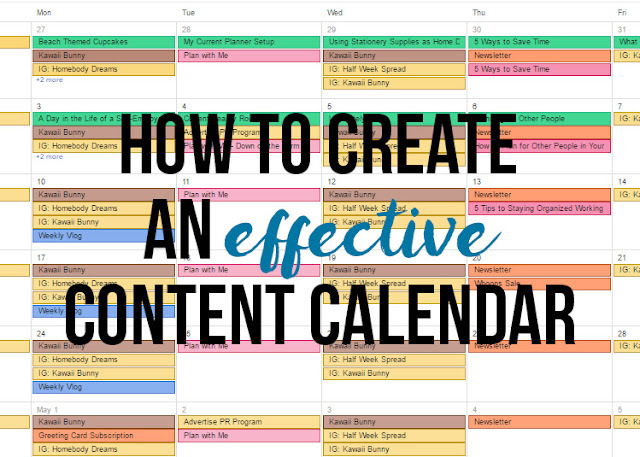 I also really enjoy using Google Calendar for my content schedules because you can create separate calendars for separate aspects of your content. I have calendars for blog posts, Microscope Beauty videos, vlog videos, Kawaii Bunny videos, social media, and Oh, Hello Stationery Co. marketing efforts. Dividing out your categories of content makes it easier for you to switch off the ones you don't want to see or focus on. It makes work much more manageable when you only have to look at one type of content at a time rather than the entire jumbled mess of all of them together. Having all of the calendars in one place though is beneficial so you can coordinate schedules on different fronts. Say you run an online business selling craft supplies and you're releasing a new line of materials. Using multiple calendars makes it easier to see what is happening during certain aspects of your business so you can coordinate all of your efforts together. You could post a new blog post showing a DIY with the new items one day, a behind the scenes look of production on Instagram the next, and a video showcasing all the new supplies the next day. All of those efforts operate on different calendars, but you can see them all at the same time and coordinate everything together. Most of the time your content calendar will come together in bursts. If you're feeling particularly inspired one day, sit down and plan out as many blog posts or videos as you can think of. Schedule them into your schedule now, but know that it can easily change based on if anything new comes up. On average my content schedule is about a month ahead in blog posts and videos. Whether or not I stick with it is different, but if I have a very good brainstorming day I want to make sure I get all the ideas down so when I'm tapped of creativity, I don't have to worry. It's also incredibly important to be flexible with your content. You can't always predict when things are going to happen, so don't set your content in stone. That's another great thing about Google Calendar. Some of my most popular blog posts and videos were created within an hour of some big launch or release. I quickly moved around my other scheduled content to make way for a new planner launch and had a huge increase in subscribers because of it. Make sure your content is working for you and not the other way around. Apparently I could ramble on about content calendars for hours, so I'll end it here for now. But if you have any questions or want to know more specifics, leave them in the comments. I'll definitely do a follow up or expand on ideas in another post.